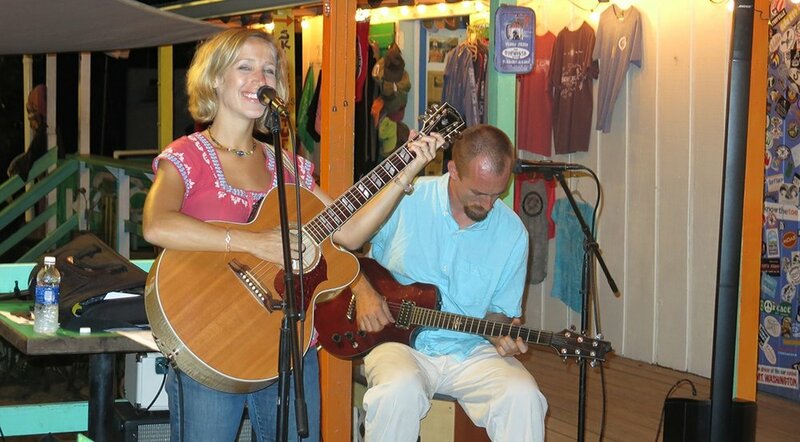 Come on out and enjoy the amazing Chris & Mo Carsel this Friday night and every Friday night this season. We always love listening to these awesome musicians and we think you will too. Cheers! Yippee! We’re so excited to listen to the beautiful melodies of Lauren & Bo. These two are great and we love having them play live for us each Saturday during season. We hope you come out and join us! Join us on St. Patty’s Day for Alisha’s amazing corned beef & cabbage special! And you’ll want to wash it down with Drunk Bay Brewing’s Irish Stout on tap. Now that sounds like a pretty awesome St. Patty’s Day in Coral Bay. See you here - cheers ! Come on out and be sure to have your dancing does on! We can’t wait to welcome back Dave Gerard and The Groove Thang this week. You should definitely join us for this special night of amazing music. Cheers! We are closing early on Christmas Eve so our staff can enjoy time with their friends and families. We are closed on Christmas Day as well. Happiest of holidays to you and yours from us! Cheers! 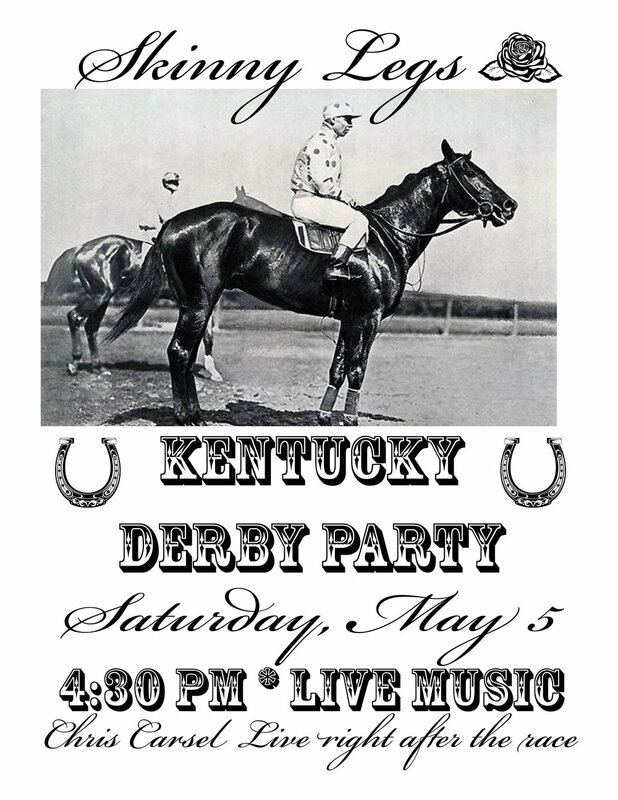 Join us for our annual awesome Kentucky Derby Party! Our window opens at 4:30 and Chris Carsel will play his awesome tunes for us right after the race! See you here! We're so excited to have Deep Dig playing for us again this year! You don't want to miss this - come on out and boogie down with us. Cheers! We've got local nano brewery Drunk Bay Brewing Co. brewing up an Irish Stout, Alisha is making his amazing corned beef and cabbage and we're ready to say Happy St. Paddy's Day! Join us for lots of fun and lots of fabulous food and libations. Cheers! Lauren & Bo are playing on Wednesday this week for a very special treat! You'll get the chance to listen to the beautiful sounds of the talented Lauren and Bo. These two are adorable and fantastic and you will be thrilled that you decided to come out to Skinny's and listen to come great music. Cheers! Friday nights are the night that our good friend, the awesome Chris Carsel, comes out to Skinny Legs and entertains us all with a great session of music with his talented friends. It's a party every Friday at Skinny Legs during season. See you there!